Step into my time machine, and let us take a journey. It’s 2015. You’re studying PPC best practices, looking for ways to level up your SEM campaigns and boost ROI from Search. You stumble upon a “hack” for optimal keyword performance, your elusive unicorn: the SKAG (Single Keyword Ad Group). Fair question. To decide, let’s take a few minutes and break it all down. EDITOR’S NOTE. A little fuzzy on SKAGs? Essentially, a SKAG is what it sounds like: an ad group focusing on just one keyword (instead of Google’s recommended 10-20). Read about why PPC experts sometimes use this strategy here. SKAGs, or Single Keyword Ad Groups, were born in a time when Google and other search platforms adhered much more closely to match types. Exact Match keywords would be triggered only by search terms with exactly the same spelling, word order, and word count. As such, it was necessary to add every possible iteration and misspelling to maintain complete coverage for branded and non-branded terms. SKAGs gave advertisers control over keyword priorities and messaging, with the added benefit of expected boosts in Quality Score. In a traditional ad group (with multiple keywords) the differences in keyword bids, match types, and expected CTR contributed to the success or failure of an ad. But SKAGs mitigated the impact of variation by ensuring that keywords highlighted in each ad matched the query, while also avoiding the risk of error associated with DKI (Dynamic Keyword Insertion). If the digital marketing industry weren’t so dynamic, SKAGs might have reigned for much longer. In just a few short years, though, quite a bit has changed. Google Ads first introduced the concept of close variants in 2014. As initially conceived, close variants would overlook obvious typos, misspellings, and plural forms of keywords. Overall, this made life easier for SEM advertisers by rendering a majority of keywords obsolete. SKAGs for every identifiable misspelling and plural form were no longer necessary. This change was not welcomed so warmly. But dedicated PPC managers took it in stride and learned to combat the change in other ways (e.g., scripts to automatically detect and add negative keywords). What this indicates is that Google is gradually putting more faith in machine learning to understand human speech patterns. This faith removes the pressure for advertisers to build out comprehensive keyword lists. While this benefits the majority of small advertisers just breaking into SEM, it throws a wrench into long-standing PPC strategies and previously well-optimized Google Ads accounts. With the way that Google is now treating close variants, there is a great deal of overlap between the three primary match types of Broad (or Modified Broad), Phrase (or Modified Phrase), and Exact (now, “Exact-ish” or Intent Match). This overlap means Single Keyword Ad Groups ultimately require more time and energy to set up and manage when the initial purpose was to reduce it. EDITOR’S NOTE. If only the web were free of outdated best practices. Your best bet for staying up-to-date is to check the date of publication, rely on multiple sources, and subscribe to a few reputable blogs that deliver fresh insight. In the wake of so many Exact Match changes, savvy digital marketers are beginning to look ahead at where the industry is headed. (Or, rather, where Google is taking the industry.) Experts disagree on whether keywords will ever be eliminated as a targeting option in Search, but there’s consensus on a move toward more contextual and behavioral audience targeting. 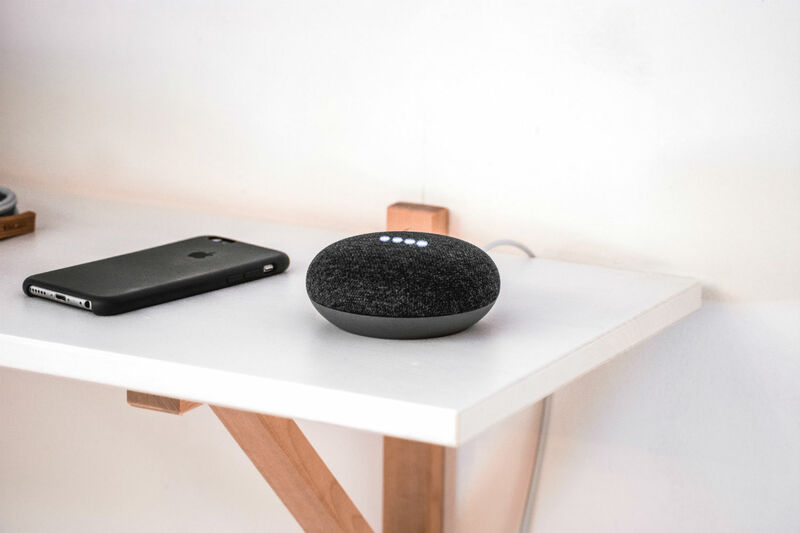 The rise of voice technology has transformed the way people engage with search engines. It no longer implies going to a computer, opening a web browser, typing keywords into a search bar, and scrolling through results. Now, people can simply speak the “name” of their virtual assistant and ask a question or make a voice command. Search “queries” are consequently becoming more conversational and long-tail searches more prevalent. Attempting to capture voice search at scale with exact match keywords is impractical. And advertisers will soon be forced to rely on the less-precise broad and phrase match types. It’s not hard to envision a shift from targeting the keywords found in a selected query to the intent for matching with campaign goals. Click-to-call ads have been available for years and have grown in popularity since the uptick in mobile searches began. Click-to-message options are expanding in Search, and Facebook has introduced several means of in-app contact and conversion. It’s doubtful that Google will lag far behind, and in-SERP conversion actions (making a purchase from the Google Shopping results or submitting a lead form without having to hit a landing page) are a likely next step. As Google and other search platforms begin to test and adopt new media for consumer response, focus will inevitably shift from a focus on keyword searches to a focus on individual needs and objectives. New algorithms will pair the consumer need to the appropriate advertiser offer. They’ll still need info provided by search queries but may not require keywords with audience targeting. Even if keywords remain a targeting option, the evolution of language itself may cause them to fall out of focus in favor of other criteria. For instance, international advertisers use built-in translation services that rely heavily on subjective interpretation. A single keyword may match to multiple corresponding terms in the foreign or domestic language. Even within the same language, searchers from different regions or age demographics may use different terms to refer to the same item (consider “soda” vs. “pop” vs. “coke” in the United States, for example). While the best search marketers already have processes in place to adapt to these changes over time, it’s expected that Google and other platforms will be eager to demonstrate the capabilities of machine learning to do it faster and more effectively than humans. The future of Search is admittedly still a relative mystery. But it’s clear that SKAGs are no longer the silver bullet for SEM success. In the next several years, there will undoubtedly be continued movement toward audiences and search intent over keyword text. This emphasizes the need for advertisers and developers to focus together on messaging and landing page experience. Every individual who arrives on your site should immediately know they are in the right place. Every page should highlight your brand’s story. This might be through logos, headers, footers, or other branded assets. Each page should have a specific category of user in mind. You may want pages for each state or city you service, for each type of product you sell, or each unique demographic/psychographic segment you hope to reach. “One size fits none.” There is no such thing as a universal landing page if you want to create the best customer experience. Too much information can annoy someone who already knows what they need. Too little information may cause a first-time visitor to move on to your competitor. EDITOR’S NOTE. Taking a “one size fits none” approach might sound a little scary if you’re on a time crunch. 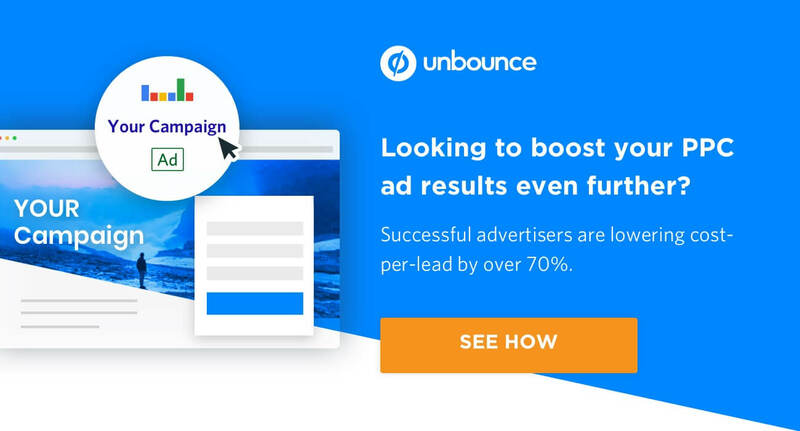 But you can simplify the process using a builder like Unbounce to create targeted landing pages for your campaigns. Overall, remember to build on what you know. Pages should be designed with their target audiences in mind. Take the time to incorporate web customization plans into your digital strategies. Don’t be afraid to duplicate a page and tweak a few points if it doesn’t quite fit a new campaign or ad group. Your conversion and bounce rates will thank you for the investment.